With Triple H vs. The Undertaker taking place at Super Show-Down in Melbourne, Australia being the biggest match in wrestling history – or at least that’s how WWE wants it to seem to you in 2018 – Nick Piccone (@nickpiccone) and Vaughn Johnson (@VaughnMJohnson) decided to take a look at the last time these two clashed inside the ring one-on-one. 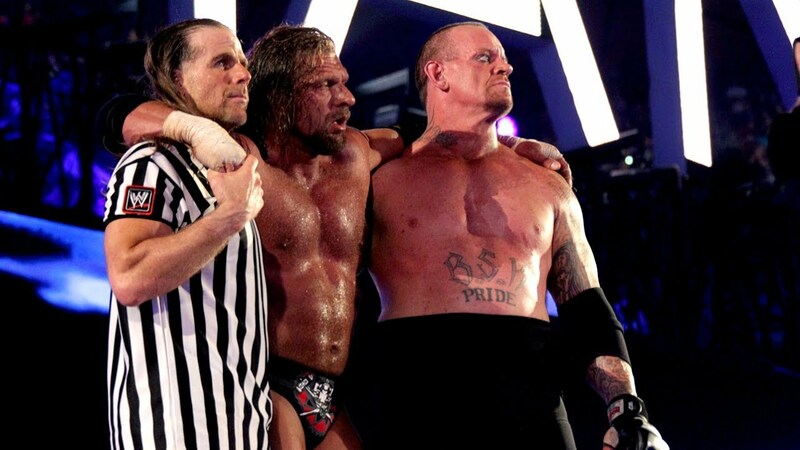 At WrestleMania 28, it was the original “End of an Era” match, which took place inside Hell in a Cell and boasted Shawn Michaels as the special guest referee. It was quite the match to remember, so this week’s edition of The Straight Shooters Podcast features some in-depth conversation about the match coming up and the match that happened six years ago and then moves on to do some live commentary of the “End of an Era” match. Help #EndALZ with a Happy Hour for a great cause!